For more than 48 years, Dexaco has been conducting home inspections in Orlando Florida. With a Certified home inspection, you can have the peace of mind that your home will have no hidden problems after you move in. Dexaco provides quick, detailed inspections which will identify problems, offer solutions and not break your pocketbook. The following items are included in a building inspection. Our Professional Home Inspection team will make sure your dream home is built right from the start. We will be there through all stages of contruction including laying the foundation, framing and finish with a walk-through the house. Our comprehensive structural analysis will assure that your house is built strong and meets all building codes. Not only do we provide a one year warranty inspection, but we will provide a 20-30 page detailed report incliuding photographs which detail all of the non-complaint issues with your home. Dexaco has been conducting home inspections for more than 48 years. We save you time and money with a professional home inspection. 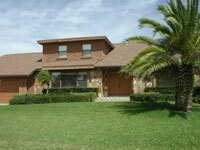 Orlando Vacation Homes For Sale | Orlando Vacation Homes For Rent | Contact Us	| Rockers Real Estate, LLC.